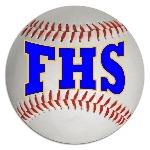 FALMOUTH 4, WELLS 1: Colin Coyne scored on a fifth-inning error, providing the go-ahead run as Falmouth (6-3) downed the Warriors (6-3) at Wells. With the score 1-1, Coyne singled, stole second, then scored when Robbie Armitage’s grounder was mishandled. All of the Yachstmen’s runs were unearned. Charlie Bell of Wells gave up four hits, struck out two and walked six. Falmouth starter Reese Armitage pitched four innings with four hits and seven strikeout. Chris Camelio finished with three shutout innings.